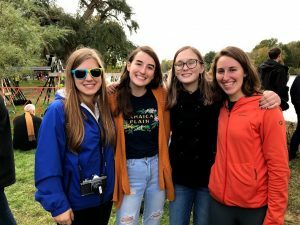 On October 21, 2018, Rockford Rowing made their fourth visit to the world’s largest two-day regatta, the Head of the Charles in Boston, Massachusetts. 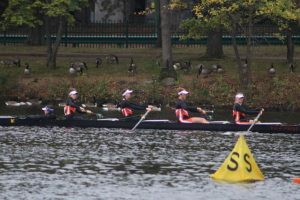 The event was first held in 1965 and is a three-mile course where athletes race down the Charles River rowing through the brisk New England Fall temperatures. More than 11,000 athletes from all over the world compete in 60 different race events, with limited opportunities for high schoolers to enter. The event attracts hundreds of thousand spectators during the October weekend. 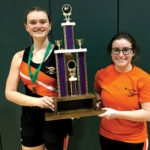 Athletes included Rockford Senior Emma Lassig, Juniors Callie Perini, Sophie Stauffer, and Amelia Sundman, and Sophomores Hannah Burmania and Courtney Cocuzza. 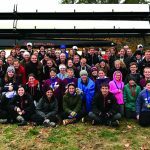 They placed a very respectable 49th place finish in the Youth Fours event, which had 85 of the top boats in their age category from all over the world. 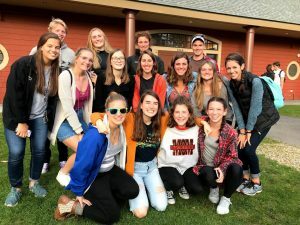 In addition to the Charles River being rowed by the Rockford Rowing Varsity Four plus Coxswain boat at the world renowned event, Rockford Rowing alumni and current collegiate rowers Elaina Loveless and James Anderson competed with their college teams. 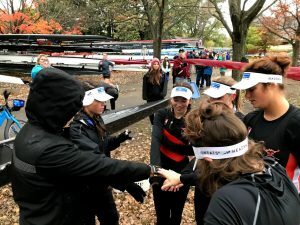 Loveless, a freshman at Northeastern University located in Boston, Massachusetts, followed up her 28th place finish in 2017 at the Head of the Charles as a Senior in Rockford Rowing with her first Club Eight competition with Northeastern. They rowed to an exciting 8th place finish at this year’s event. 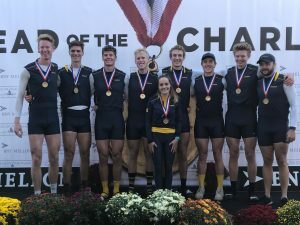 (Supplied Photo) Rockford Graduate James Anderson, 2nd from right, earns a Gold Medal at the Head of the Charles with his University of Michigan teammates. Photo by the Anderson family. As the athletes broke down the event with the traditional, “What have we got on three? What have we got on three? One. Two. Three. Rams!” the Ram pride could be felt and seen in Boston. 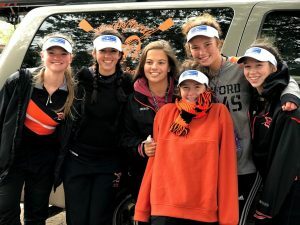 The West Michigan athletes rowed away with a lifetime of memories and the continued bond that the rowing community provides for all involved. 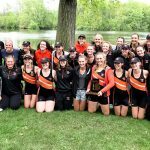 To learn more about Rockford Rowing, visit www.RockfordRowing.com.